Beauty & The Beast (IMAX Review) – Is there something there that wasn’t there before? If it ain’t broke don’t fix it. That seems to have been the watchword with Beauty & The Beast. While there has been some tinkering around the edges of the 1991 animated classic to give everyone a bit more of a backstory, and to slightly soften some of the creepier Stockholm Syndrome elements, largely this live-action version is incredibly faithful. That goes as far as parts of the film being pretty much a shot-for-shot remake. While the new live-action Beauty & The Beast will be longer than the 1991 Disney animated classic, the marketing has been keen to show off the similarities. The first full trailer was an almost shot-for-shot do-over of the one for the animated movie, and now a clip of the opening number has arrived, which suggests it will be almost exactly the same too, except live-action. There are the same shots, the same characters and the same feel, with the main difference being it’s Emma Watson’s vocals rather than Paige O’Hara’s. You can take a look at it below. Here’s the synopsis: ‘Disney’s “Beauty and the Beast” is a live-action re-telling of the studio’s animated classic which refashions the classic characters from the tale as old as time for a contemporary audience, staying true to the original music while updating the score with several new songs. “Beauty and the Beast” is the fantastic journey of Belle, a bright, beautiful and independent young woman who is taken prisoner by a beast in his castle. Despite her fears, she befriends the castle’s enchanted staff and learns to look beyond the Beast’s hideous exterior and realize the kind heart and soul of the true Prince within. 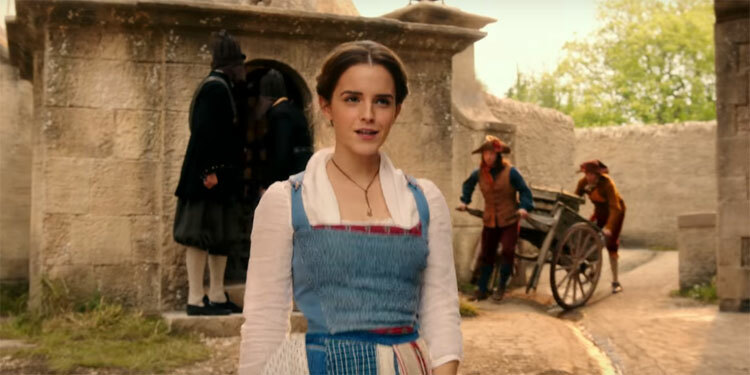 ‘The film stars: Emma Watson as Belle; Dan Stevens as the Beast; Luke Evans as Gaston, the handsome, but shallow villager who woos Belle; Oscar® winner Kevin Kline as Maurice, Belle’s eccentric, but lovable father; Josh Gad as Lefou, Gaston’s long-suffering aide-de-camp; Golden Globe® nominee Ewan McGregor as Lumiere, the candelabra; Oscar nominee Stanley Tucci as Maestro Cadenza, the harpsichord; Gugu Mbatha-Raw as Plumette, the feather duster; six-time Tony Award® winner Audra McDonald as Madame Garderobe, the wardrobe; Oscar nominee Ian McKellen as Cogsworth, the mantel clock; and two-time Academy Award® winner Emma Thompson as the teapot, Mrs. Potts. It’s looking increasingly clear that Disney has a huge hit on its hands with its live-action version of Beauty and the Beast – assuming the film is as good as it looks, of course. 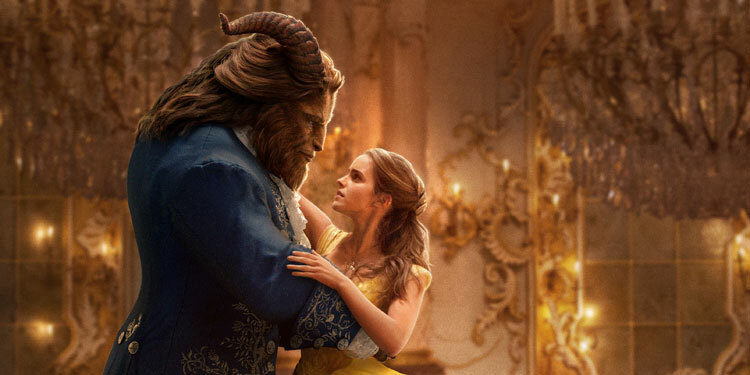 The final trailer for the movie has now been released, which once more shows us plenty of classic moments from the 1991 animated movie recreated with Emma Watson as Belle and a CG-covered Dan Stevens as the Beast. Here’s the synopsis: ‘Disney’s “Beauty and the Beast” is a live-action re-telling of the studio’s animated classic which refashions the classic characters from the tale as old as time for a contemporary audience, staying true to the original music while updating the score with several new songs. “Beauty and the Beast” is the fantastic journey of Belle, a bright, beautiful and independent young woman who is taken prisoner by a beast in his castle. Despite her fears, she befriends the castle’s enchanted staff and learns to look beyond the Beast’s hideous exterior and realize the kind heart and soul of the true Prince within. The film stars: Emma Watson as Belle; Dan Stevens as the Beast; Luke Evans as Gaston, the handsome, but shallow villager who woos Belle; Oscar® winner Kevin Kline as Maurice, Belle’s eccentric, but lovable father; Josh Gad as Lefou, Gaston’s long-suffering aide-de-camp; Golden Globe® nominee Ewan McGregor as Lumiere, the candelabra; Oscar nominee Stanley Tucci as Maestro Cadenza, the harpsichord; Gugu Mbatha-Raw as Plumette, the feather duster; six-time Tony Award® winner Audra McDonald as Madame Garderobe, the wardrobe; Oscar nominee Ian McKellen as Cogsworth, the mantel clock; and two-time Academy Award® winner Emma Thompson as the teapot, Mrs. Potts. There are already a lot of people excited about Disney’s live-action Beauty & The Beast, and this first trailer is likely to up the anticipation. There may be a couple of special effect wobbles they can hopefully sort out in the next few months, but overall it looks as magical as you could hope for. 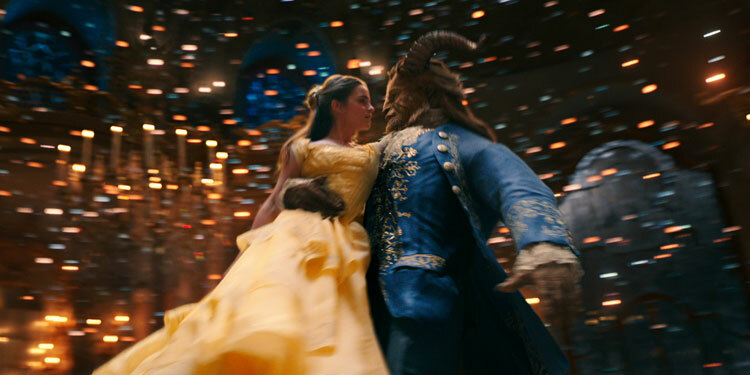 And we have to say, the Beast is looking hot (partly due to having the gorgeous Dan Stevens under the CGI fur). 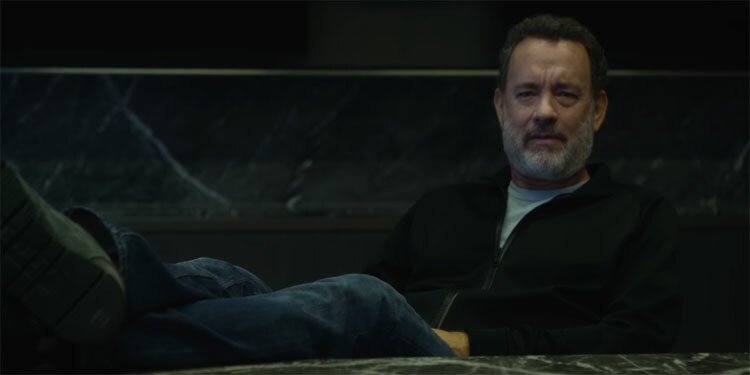 The promo is filled with live-action recreations of classic moments from the 1990s animated movie, back by a rousing school and a comforting reassurance that while things will have changed, much of what people love about the original will remain.